A killer chooses his victims based on someone's visions of the future on Elementary. "The Visions of Norman P. Horowitz" is the 18th episode of the show's sixth season. 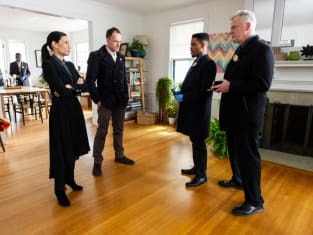 Elementary Season 6 Episode 18: "The Visions of Norman P. Horowitz"
Norman thought most people were just background characters in a video game. Permalink: Norman thought most people were just background characters in a video game. Someone is killing those people as your brother predicted. Permalink: Someone is killing those people as your brother predicted.